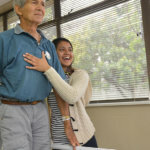 At Nurture Hillandale we rehabilitate people who have lost their independence after injury or illness. We support you on your rehabilitation journey. Nurture Hillandale is a fully licensed hospital meeting the requirements of the Department of Health for private hospitals. We are registered with BHF as an acute and sub-acute rehabilitation facility. Nurture Hillandale assists patients to achieve their highest level of functioning and independence following injury and illness as cost effectively as possible. Each patient’s rehabilitation is carefully planned to meet their needs. The therapy team consists of two groups of people: an in-house rehabilitation team and a team of professionals whose services are contracted in when this is required.  Our doctors are highly experienced and are driven by the conviction that the best outcome is reached by clearly understanding the needs and wishes of our patients. Their aim is to ensure that the team works together to deliver the best outcome. Patients undergo a combination of specially designed therapy sessions to suit their specific needs. Patients receive intensive therapy daily and, depending on their medical condition, this will include home and life management skills training. 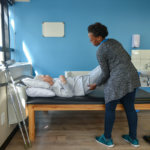 Nurture Hillandale is a specialised acute rehabilitation facility, and we provide comprehensive outpatient care after a patient is discharged from our care. Therapy and Nursing takes place throughout the day according to patients’needs. Meetings are held with each patient’s close family and all relevant team members to discuss initial assessments, rehabilitation goals and discharge planning. These meetings provide a platform for all involved parties to discuss a patient’s diagnosis, the impact of this on the patient’s return to his/her previous level of functioning and the teams rehabilitation goals. Any challenges or barriers that may need to be considered when assisting the family with discharge planning are also identified and discussed during this time to ensure that these can be addressed before discharge takes place. Training will be provided with carers or patients’ family members prior to discharge to assist a patient to continue with daily activities at home. In appropriate cases work assessments will form part of discharge planning in order to determine whether a patient will be able to return to work. Staff will also assist in making arrangements in the case of the patient being unable to return to work. A referral to out-patient services may occur as a result of a referral from your doctor, a concern of your own for yourself or a loved one, or as part of planned discharge procedures. These services ensure that patients continue to receive the therapeutic and medical treatment that they need in order to remain as safe and independent as possible at home. We focus on what patients will need to be able to accomplish in their daily lives. Our team works with patients to formulate the therapy strategy that is best suited to their specific needs and circumstances. Currently out-patient services are limited to people previously treated in our facility. At the heart of Hillandale Hospital lies its experienced interdisciplinary team. In addition the part time support team includes a Dietician and Psychologist. "Baie dankie vir al julle moeite, julle is baie spesiaal." "Baie dankie vir alles wat julle vir die pasiente doen. Julle doen ‘n wonderlike werk. Ons sal altyd vir julle bid." "Thank you. It felt like home." "Baie dankie vir alles wat julle vir my ma doen." "So dankbaar dat my man by jul kan wees, julle is tops!" "Ek wil nie huis toe gaan nie. Julle is te goed vir my." "Julle doen ‘n wonderlike werk, baie dankie." "Ek is so dankbaar dat ek na jul kon kom. Jul vriendelikheid maak dat ek positief bly, ook omdat julle so positief is. Dankie." "My ma lyk elke dag stukke beter! Baie dankie." Hillandale Hospital is a Nurture Health Hospital and exists to inspire, support and equip our patients to lead a happy and fulfilled life.